It’s been teased through trailers and interviews that Avengers: Age of Ultron is going to be much darker than its predecessor. That’s hardly surprising, given who the main antagonist is. It’s one thing to want to conquer Earth with an alien army, like Loki did. It’s another thing to lead a genocide against humanity in order to usher in "peace." Obviously, as a superhero movie, there will be plenty of action and property damage, not to mention tremendous fallout that will affect future MCU stories. More important, however, is that there have even been a few hints that someone may die. Remember, this is a Joss Whedon project, after all. With all this darkness and devastation, there’s bound to be casualties along the way in the fight against Ultron and his minions, and not just civilians or minor characters. During their battle against the insane robot, Earth’s Mightiest Heroes might lose some allies along the way. While the main Avengers lineup is safe, here are the other major Avengers: Age of Ultron players who could be killed off during the movie. So far the only footage we’ve seen of Tony Stark’s best friend in Avengers: Age of Ultron is from the party scene. Granted, it was expected that he wouldn’t have nearly as big a role as the other superheroes, but it still isn’t a good indicator that the only time we’ve seen him is minutes before the killer robots start attacking. Currently there are no plans to make Iron Man 4, and Marvel hasn’t divulged whether he will be appearing in future films. 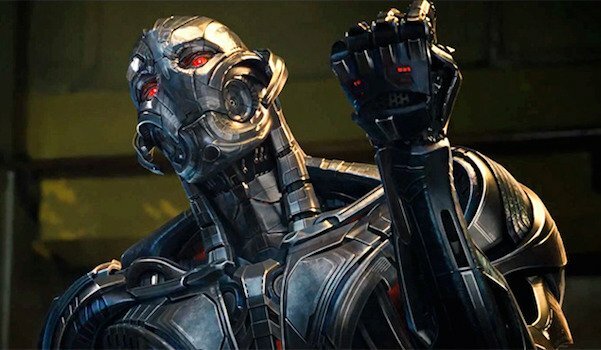 If the film is looking to kill someone off to show how dangerous Ultron is, Rhodey’s chances aren’t looking good. Also, by killing him, it would give Tony a personal loss and force him to change his perspective on superpowered beings, which then leads into the events of Captain America: Civil War. 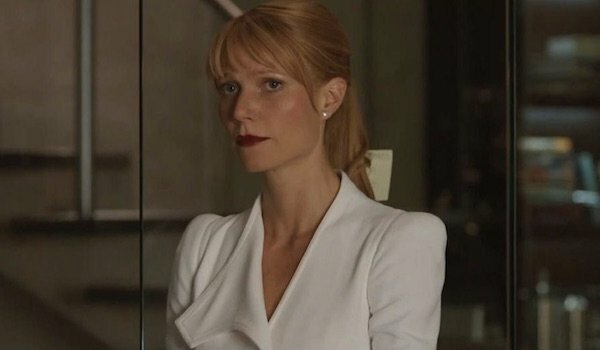 Despite being an important part of Tony Stark’s life, Pepper Potts hasn’t been announced to appear in Avengers: Age of Ultron. After all, if she was in the movie, you’d think she would be partying with Tony and the others at Avengers Tower. However, the film might be saving her for a surprise cameo in the film. Perhaps Tony tries to check up on her, and before he can intervene, she is somehow killed by Ultron’s forces. 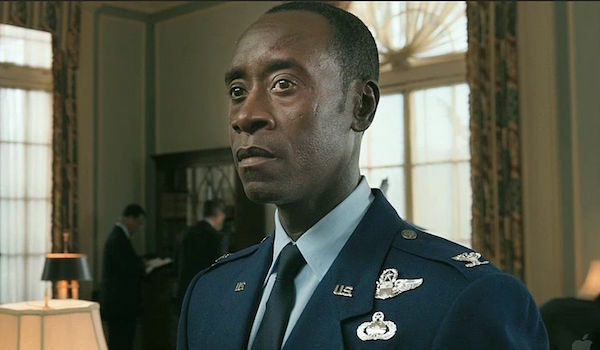 As with Rhodey, Pepper’s death would drastically change Tony (not to mention break his heart) and propel him to take drastic action in Captain America: Civil War. Gwenyth Paltrow says she doesn’t know if or when she’ll reprise the role, so when this movie takes the audience down some dark corners, one of those might be her sendoff. 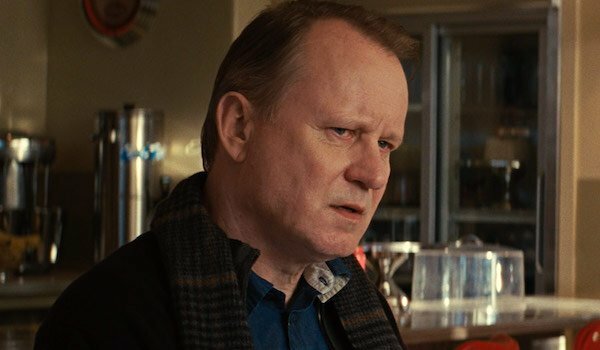 As one of the few characters in the MCU who doesn’t originate from the comics, Marvel has a lot of leeway with what they do to Dr. Erik Selvig. The man has been a source for both crucial information and comedic moments in his past appearances, but no information has surfaced about what he’ll be doing in Avengers: Age of Ultron (other than possibly stripping naked again). While he’s been an important member of the Thor franchise, his time in the MCU may be winding down, and it wouldn’t be surprising if he was one of the casualties during Ultron’s reign of terror. His death would not only affect Thor, but the whole team. Since he isn’t a character in the comics, his death wouldn’t heavily affect any of the upcoming movie stories, so he would be the safest to eliminate. Strucker was introduced in the post-credits scene of Captain America: The Winter Soldier as one of Hydra’s top officials who has been using Loki’s scepter to experiment on people, including Wanda and Pietro Maximoff. Avengers: Age of Ultron will open on the team attacking Strucker’s compound and presumably retrieving the scepter in the aftermath. 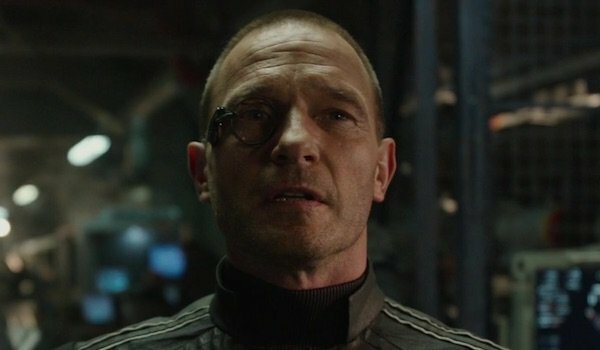 It’s entirely possible that Strucker won’t survive the assault. Although actor Thomas Kretschmann is signed on for multiple movies, plans can change, and maybe Marvel decided that they didn’t need him as long as they originally thought. Since Ultron is the titular villain, what happens to Strucker is significantly less important, and killing him off could be a way of wrapping up all the Hydra elements in the MCU. Judging by Bruce Banner’s PTSD in the aftermath of the battle, maybe Hulk ate him…okay, maybe we should just save that for SNL. 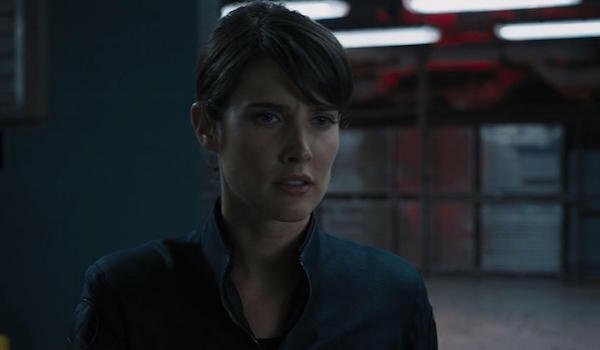 With Black Widow and Hawkeye as full-time Avengers and Nick Fury traveling around the globe, Maria Hill is the last remaining former S.H.I.E.L.D. agent on film (unless they decide to bring Coulson back to the big screen at some point). She was seen at the end of Captain America: The Winter Soldier getting a job at Stark Industries, and judging by her inclusion at their party, she seems to have gotten chummy with Earth’s Mightiest Heroes. While it’s been implied that she’ll survive Ultron’s attack at Avengers Tower, that’s not to say that she couldn't perish later on, perhaps during the climatic battle. It hasn’t been announced if Cobie Smulders has signed on for Captain America: Civil War, and with that movie already crowded enough and Agents of S.H.I.E.L.D. having their own diverse cast, this could be her last appearance in the MCU. 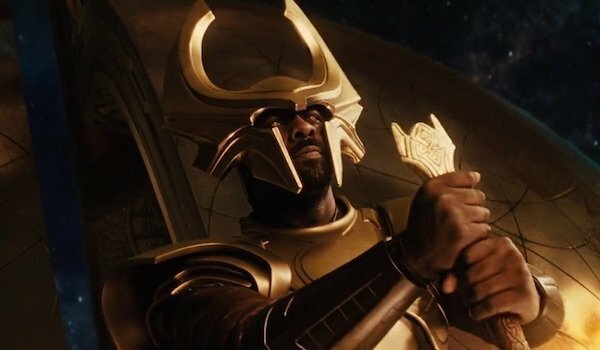 Last winter, it was revealed that Idris Elba would be appearing in Avengers: Age of Ultron, and his scene with Chris Hemsworth and Tom Hiddleston will presumably set up the events of Thor: Ragnarok, likely in a post-credits scene. Unlike the other speculated deaths on this list, Heimdall’s would have nothing to do with Ultron or the movie’s overall narrative. Instead, his demise will clue audiences about what’s coming up in the third Thor installment, namely the death of nearly all the Asgardians. Elba mentioned that filming Thor: The Dark World wasn’t a pleasant experience for him, so offing him may be Marvel’s way of giving him an out while at the same time hinting at the devastation to come for Thor and his fellow Asgardians. Let’s be honest, Marvel doesn’t have a great track record with keeping their primary antagonists alive. It’s entirely possible that in the climactic battle, Ultron will meet his end at the hands of one of the Avengers or perhaps accidentally by his own hand. As an insane robot bent on genocide, he certainly has it coming. However, much like DC Comics villain Brainiac, Ultron has a habit of downloading his consciousness into a duplicate body, leaving it extremely difficult for the Marvel heroes to defeat him completely. So while it’s possible his physical body will be destroyed by the end of the movie, that may not spell the permanent end for Ultron, whether that means just transferring his mind elsewhere or a different type of return. Still, dealing with Ultron the one time might be enough for Earth Mightiest Heroes to deal with, especially with Thanos on the way for the Avengers: Infinity War movies.